Learn how to correctly void an unpaid invoice or bill without impacting prior reporting periods. If you have an invoice or bill that you want to void or write off you want to do this in a way that you don't alter your previous reporting periods and that you reverse the income or expense to the appropriate accounts so the net effect on your books is zero. We will use an unpaid invoice for this example but an unpaid expense is the exact same process. Search for your unpaid invoice by going to Invoices and searching for the transaction. 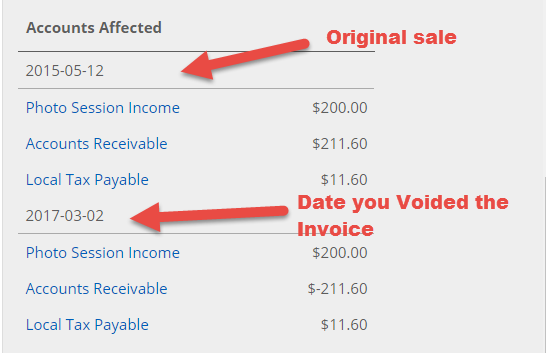 Another way you can do this is by going to the Unpaid Invoices report and then clicking on the client that has the invoice you want to void. 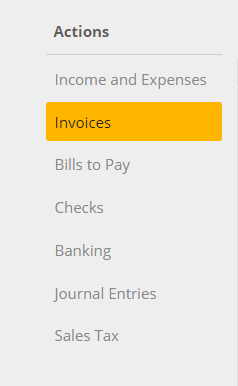 Click on the invoice you want to void and take note of the Accounts Affected in the right hand column. 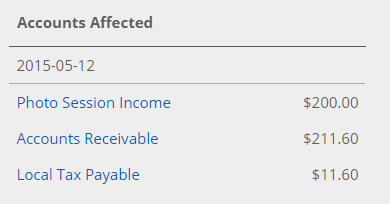 You need to create a payment for each of the accounts affected except the accounts receivable (payable for expenses). 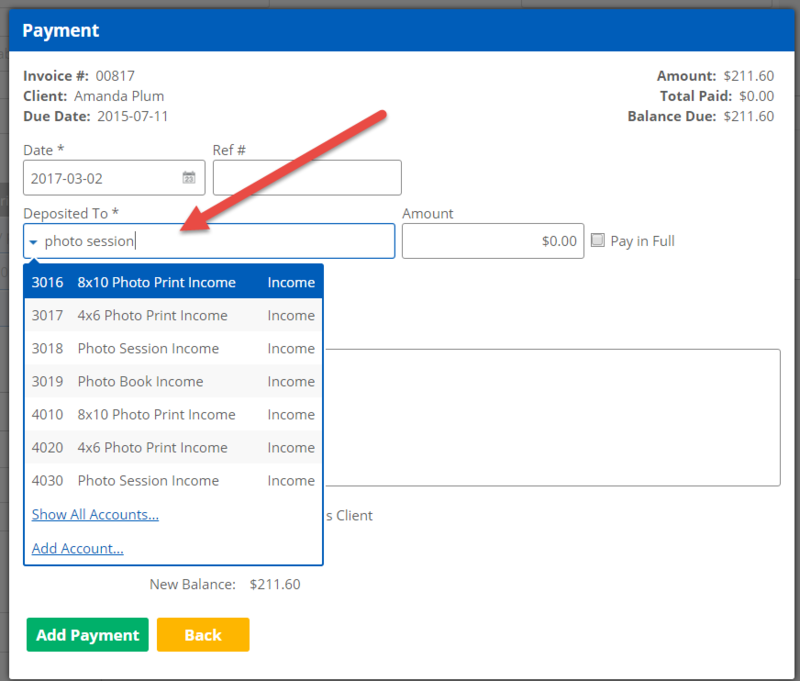 Start typing the name of the account affected into the Deposited To (Paid From in expenses) box. Enter the amount and any Memo that you want for your future reference. Repeat for each of the accounts that were affected by the original transaction. When you are finished the Balance Due should equal 0 and the accounts affected should have 2 entries for the different dates.